I love adding several ingredients inside of a plain old chicken breast to create a sophisticated look to a dinnertime favorite. Typically when it comes to stuffed chicken you can almost always count on some sort of cheese incorporated into the mix and oozing out of the sides. 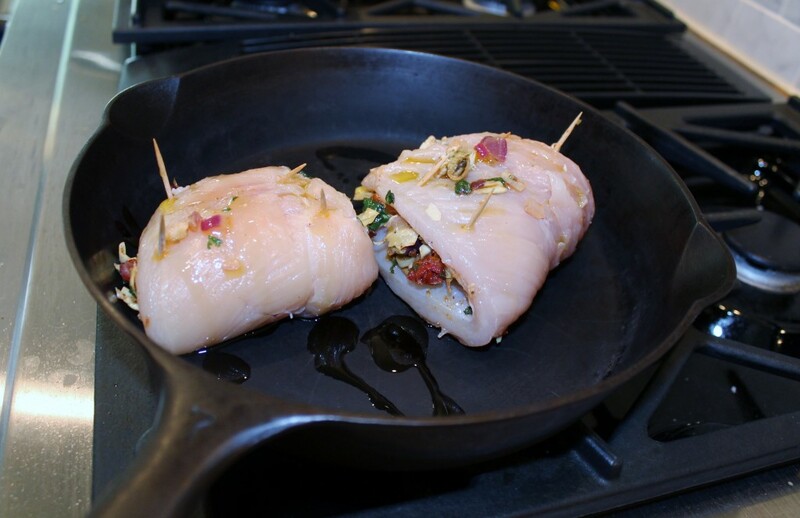 Don’t get me wrong I love this approach but since I am avoiding dairy I needed to figure out how to achieve a wonderful stuffed chicken recipe without missing the flavor and creaminess from the cheese. I have to say mission accomplished. 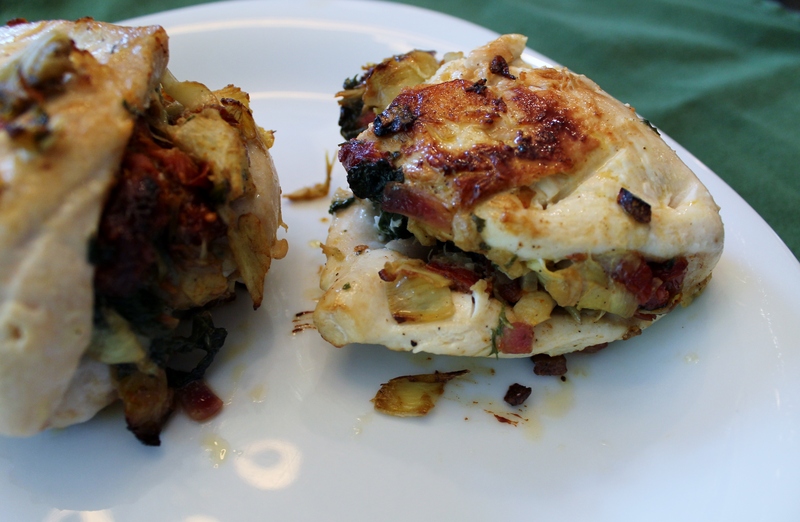 This spinach, artichoke and sun-dried tomato filling is full of flavor and it turned out even better than I expected. The chicken is seared then baked till golden brown, creating a crispy outer layer and a tender and juicy center. 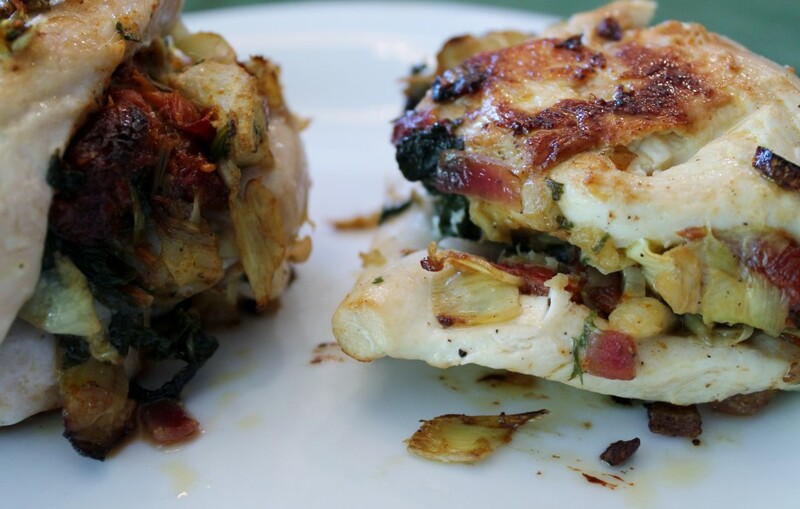 For more stuffed chicken ideas check out my Caprese Chicken, Ricotta and Sun-Dried Tomato Chicken Roll-Ups, and Stuffed Chicken with Spinach, Goat Cheese, Cranberries, and Pecans. – Preheat oven 375 degrees. – Sauté 1 tablespoon of olive oil over medium heat. Add onion and cook 3-4 minutes. Stir in the chopped artichokes and tomatoes. Cook for another 3-5 minutes. Throw in chopped spinach and sprinkle in salt, pepper and garlic. Add in butter stirring till melted. Top with parsley. 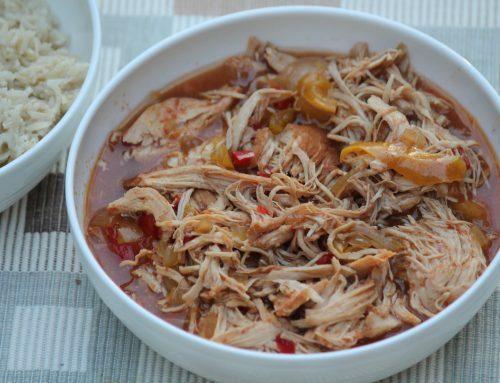 – Remove mixture from heat and allow to cool before stuffing the chicken. 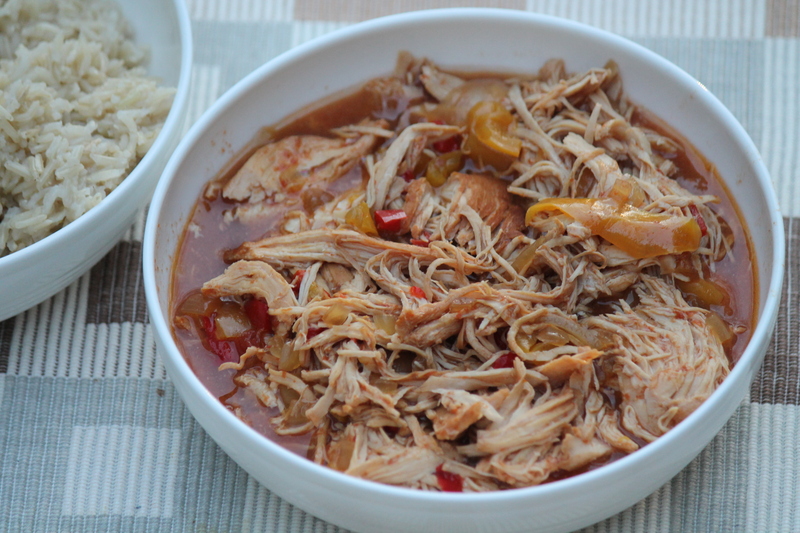 – Pound out chicken (about 1/4″ thick). 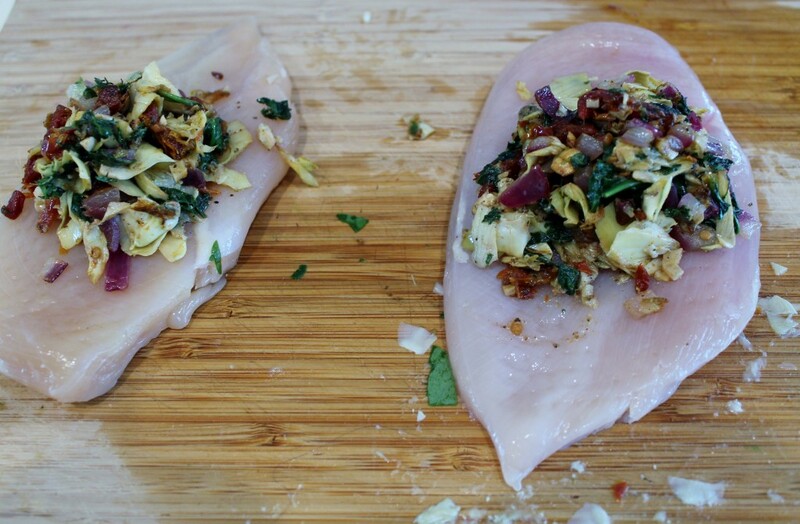 – Place half of the artichoke mixture in the center of the chicken breast. Gently roll up the chicken, tucking in the sides. Secure ends of the rolled chicken with toothpicks to keep the stuffing from falling out. Repeat with the other breast. 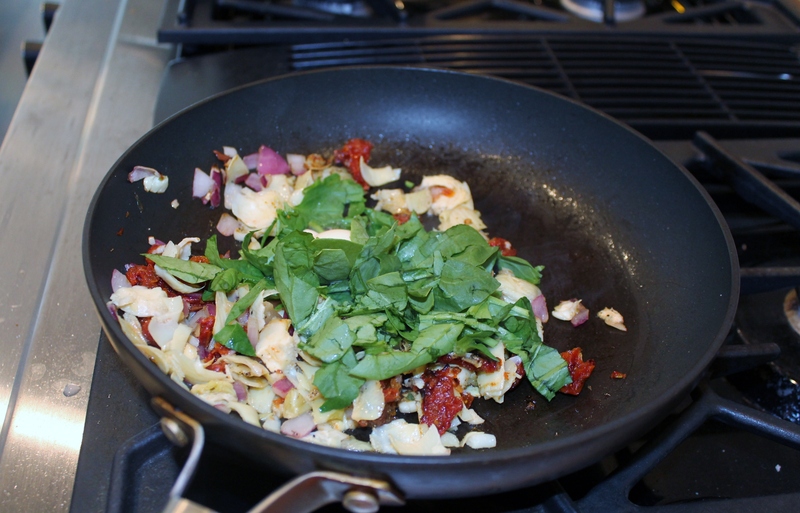 – Add the remaining olive oil to a cast iron skillet. Over medium-high heat add chicken to the pan and cook 3-4 minutes per side, or till brown. Place the skillet in a 375 degree oven to finish cooking the chicken for 15 minutes or till chicken is done. 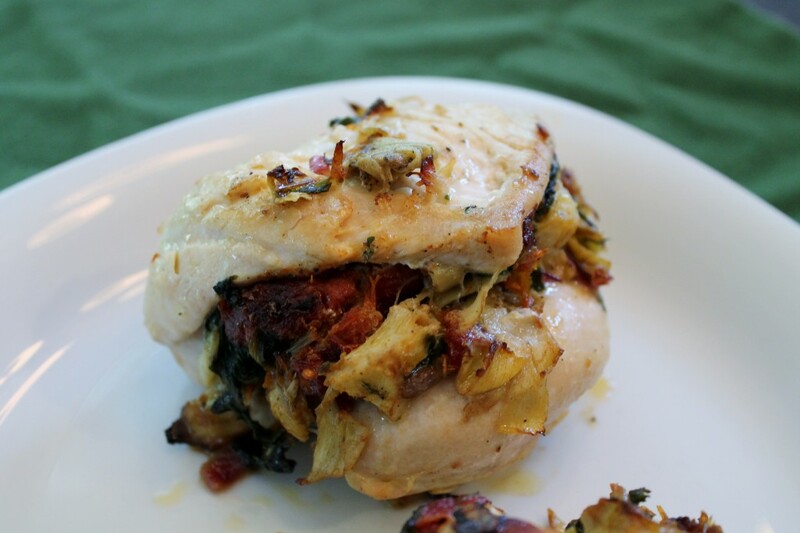 This is such a creative new spin on a stuffed chicken! I love incorporating artichokes into my dishes so I will definitely have to try this out soon!